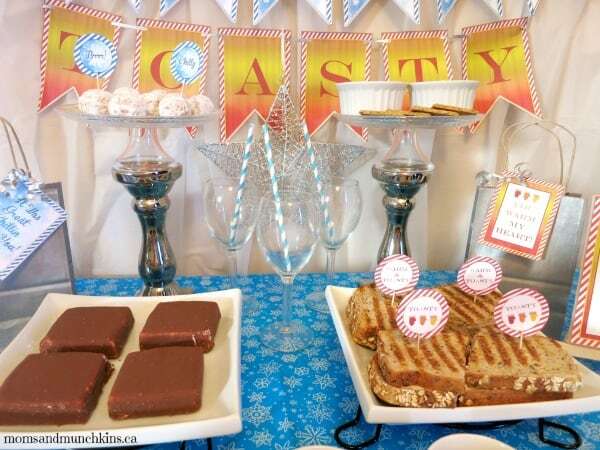 I’m thrilled to announce that we’ve had another party featured in Calgary’s Child Magazine! 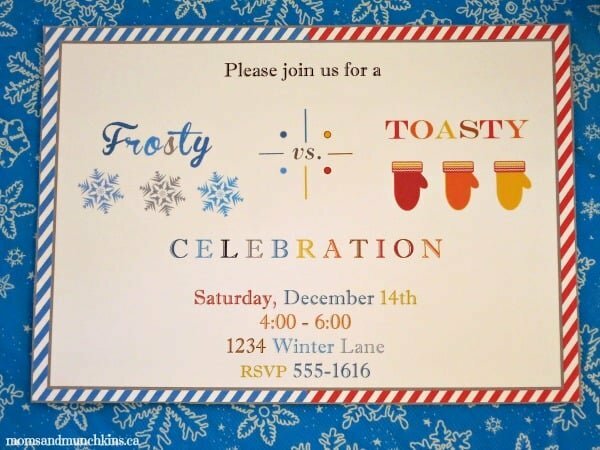 It’s the season for winter birthday party ideas so it’s the perfect time to share this Frosty vs. Toasty Winter Party. It’s filled with chilly treats and tasty toasty bites. I’ll share all of the party photos here but for the full written piece with all of the party ideas like activities, decorations, favor ideas, etc. – you’ll need to read the full magazine article. 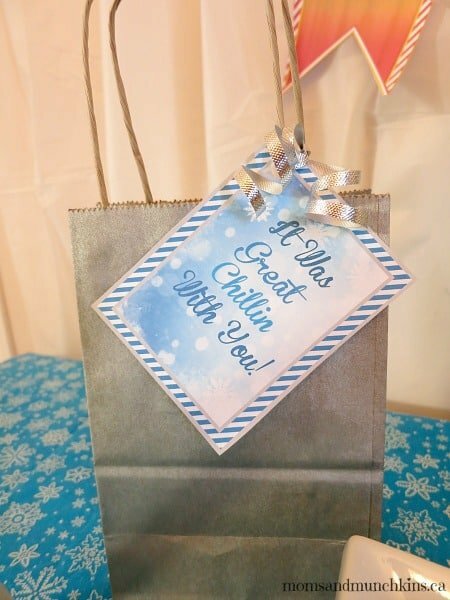 The printables featured here were created by Stephanie of Bella Bella Studios. There are so many fun outdoor activities to enjoy during the winter season. 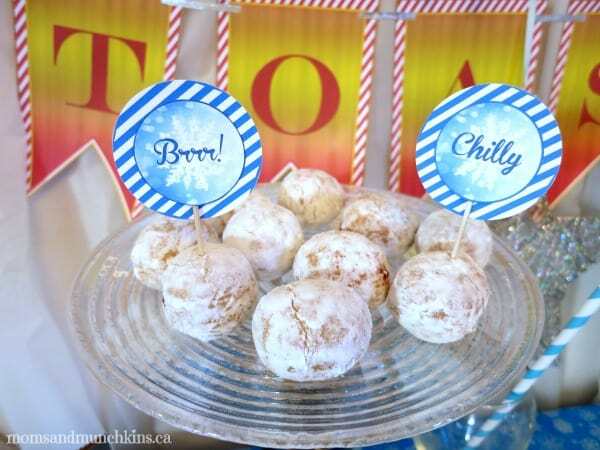 After chillin’ outdoors, you can bring the party inside for some delicious treats and some toasty activities like a movie inside a tented fort beside the fireplace. 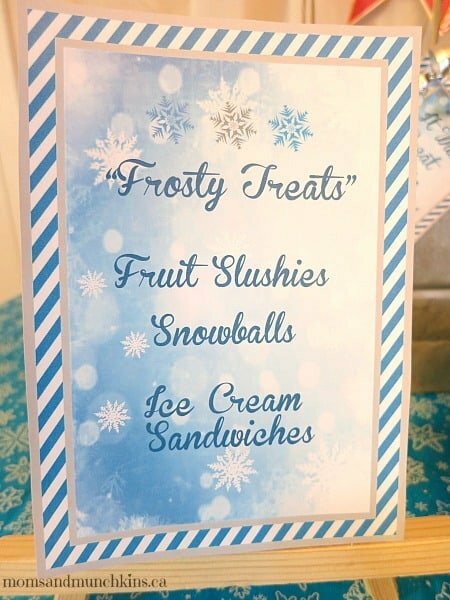 What kind of food comes to mind when you think of frosty? Snow cones, ice cream, crushed ice drinks…the possibilities are endless! 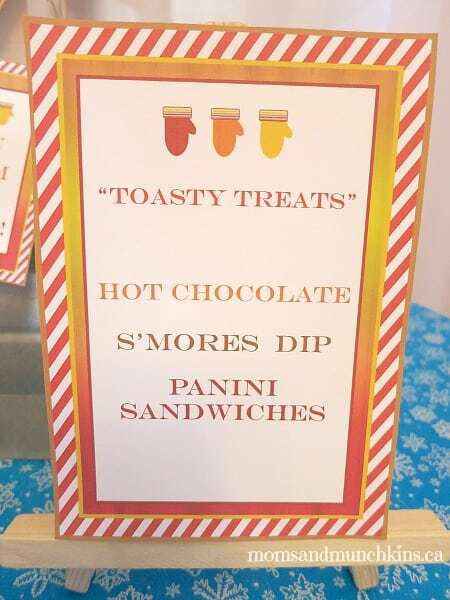 When I was a child, my favorite toasty treat was hot chocolate with extra marshmallows. 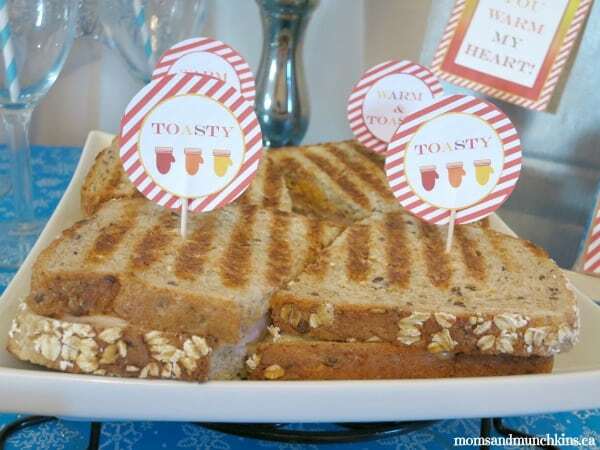 There are many ways to stay warm on a cold day like hot chocolate, toasted sandwiches, s’mores and more! 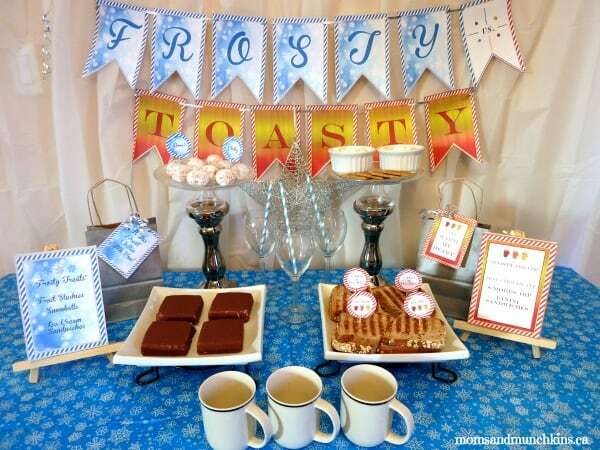 Your party supplies can include some frosty ideas and some toasty ideas. 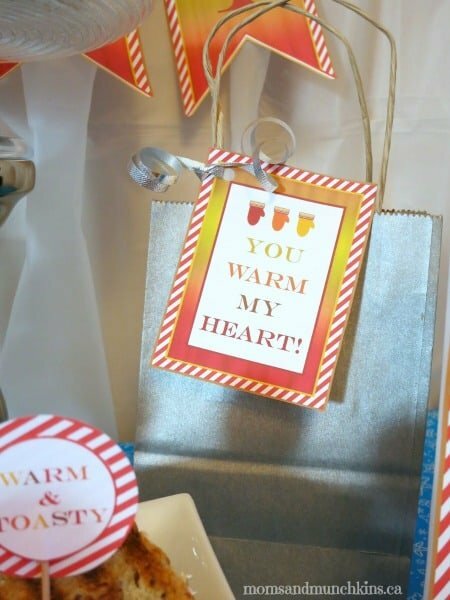 You could even set it up as a favor buffet where guests fill up their own treat bags with the treats that they are most interested in. For more party ideas, visit our Birthday Party page for free printable checklists, planning tips, loads of fun themed party ideas and more. We’re always adding new ideas! 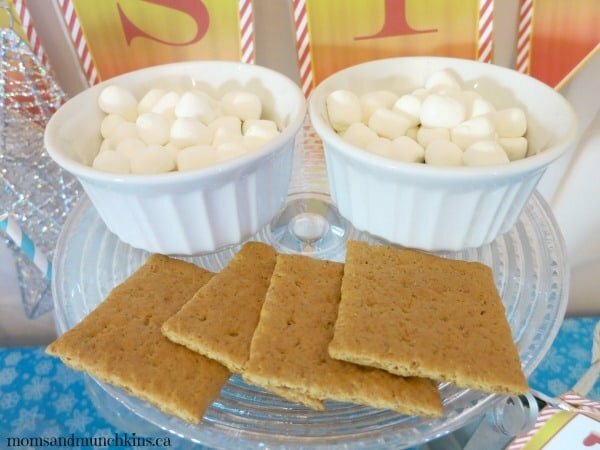 Follow along on Facebook, Twitter, Pinterest and Bloglovin’ for the latest party ideas. We welcome your ideas as well for future party features. Simply leave us a comment below and we’ll try to work it into a future party post. We love reader feedback!